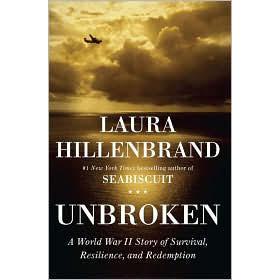 Unbroken started out pretty slow. The subject matter is fascinating - an Olympic runner thrown into WWII who survived an amazing stretch of awful situations. All the running descriptions felt a bit Seabiscuit part 2. However once Louie got into the war, I couldn't put it down. I do wish that the author had ended a bit sooner. Towards the end, it petered out, and the timeline got jumbly. 6/10.